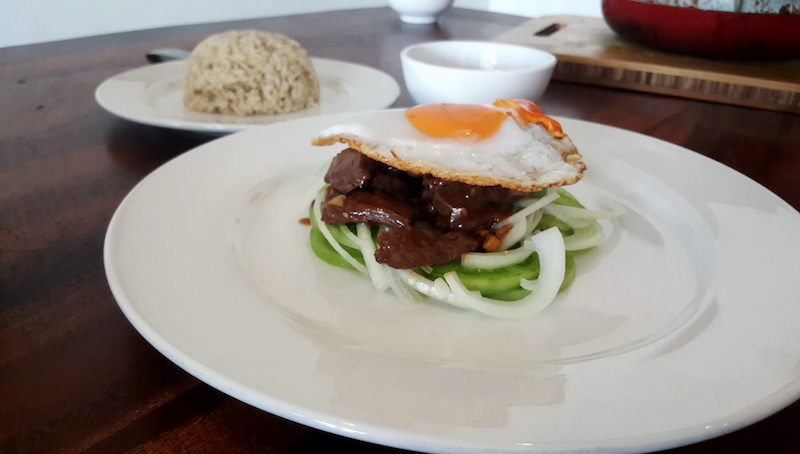 Lok Lak is now regarded as a Cambodian classic but has routes in the French indochina period and similar to a Vietnamese dish called Bò lúc lắc or ‘shaking beef’ in America. My version of this dish is very easy to make, made with ingredients you should be able to easily find anywhere. The lime and pepper sauce is an important part of making this uniquely Khmer, always use Kampot pepper or equivalent with its strong long lasting tang to get the right taste.